Taken from the Ardmore Road below Ard Beag. The calf has not yet attained the characteristic colouring of Highland Cattle. 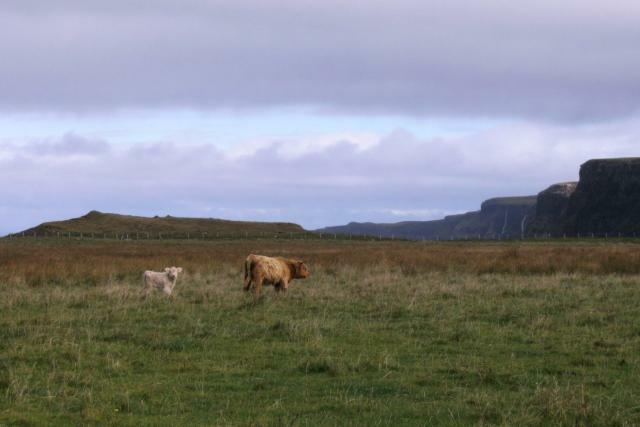 In the background on the right runs the steep coast of NW Waternish. © Copyright Hilmar Ilgenfritz and licensed for reuse under this Creative Commons Licence.